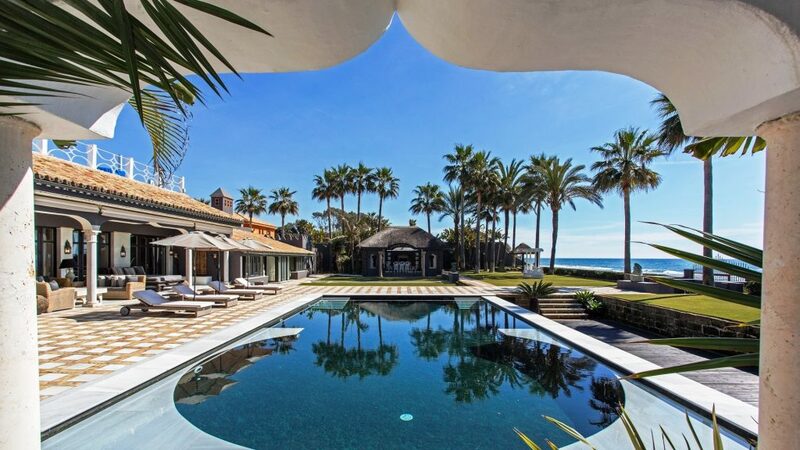 Stunning first line villa, Marbella East. 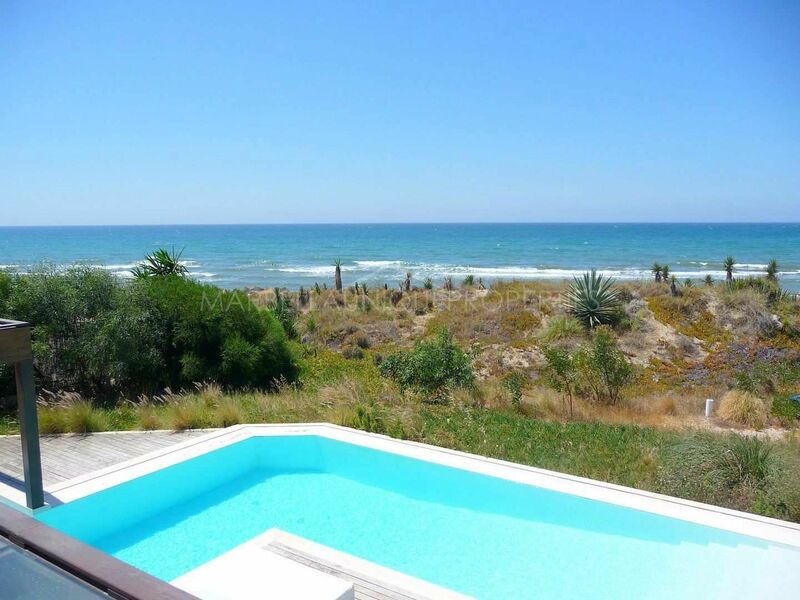 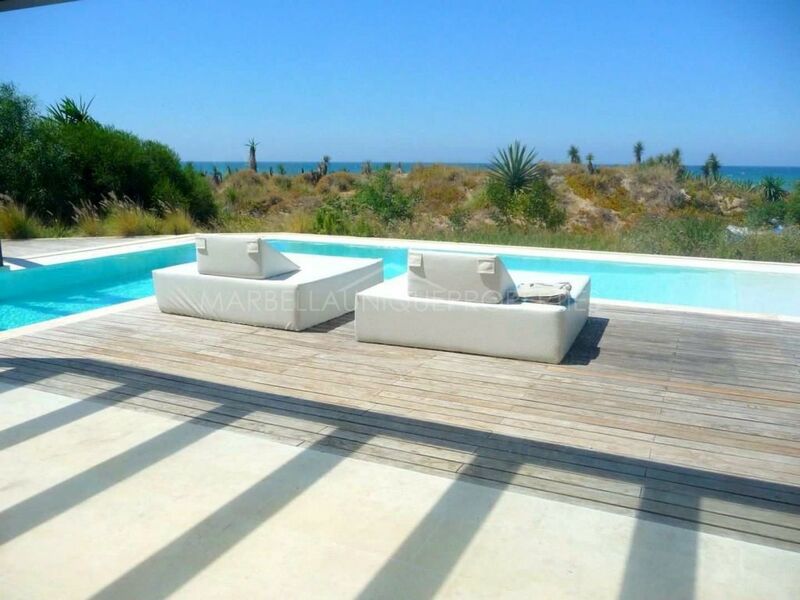 Contemporary style villa, built with the highest quality specifications, situated frontline beach with the dunes right in front of your private garden. 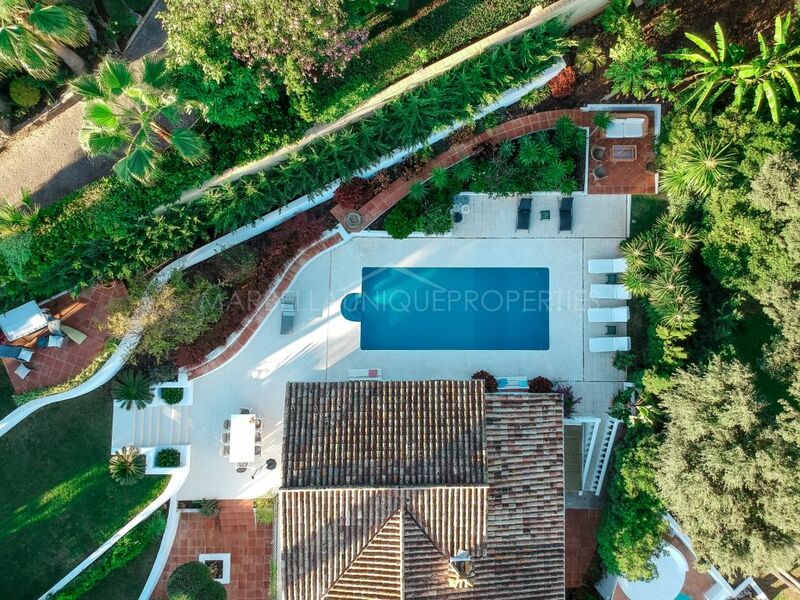 Built on three levels, property comprises, on entrance level: entrance hall, living room offering beautiful views over the pool area and the sea, fully fitted kitchen with breakfast area with access to the terrace and private garden, an en suite bedroom and a guest toilet. 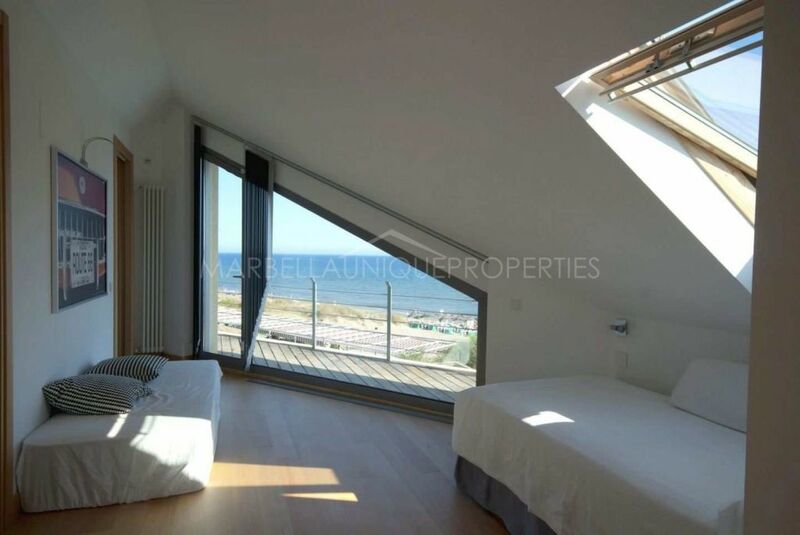 First floor: en suite master bedroom with walk-in wardrobe and jacuzzi featuring stunning sea and beach views, and a study/office which could easily be converted into an extra bedroom. 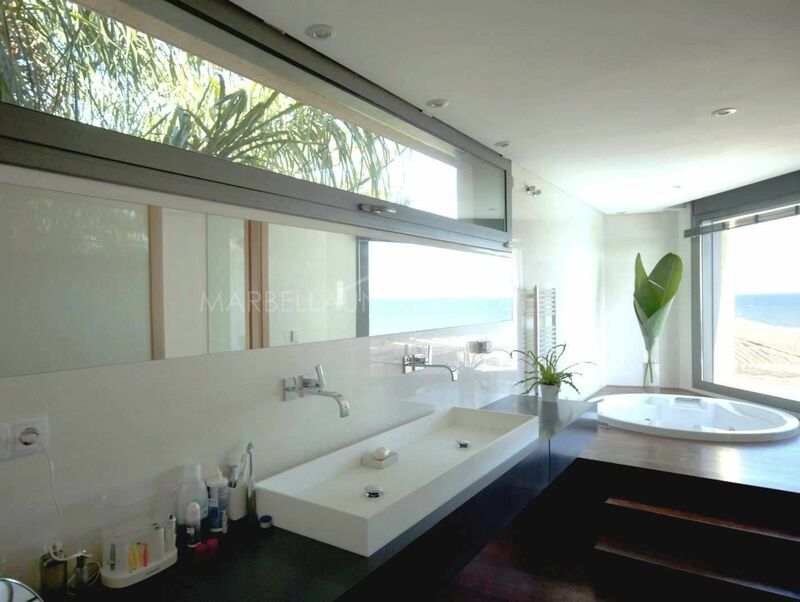 Second floor: en suite bedroom with walk-in wardrobe and a study. 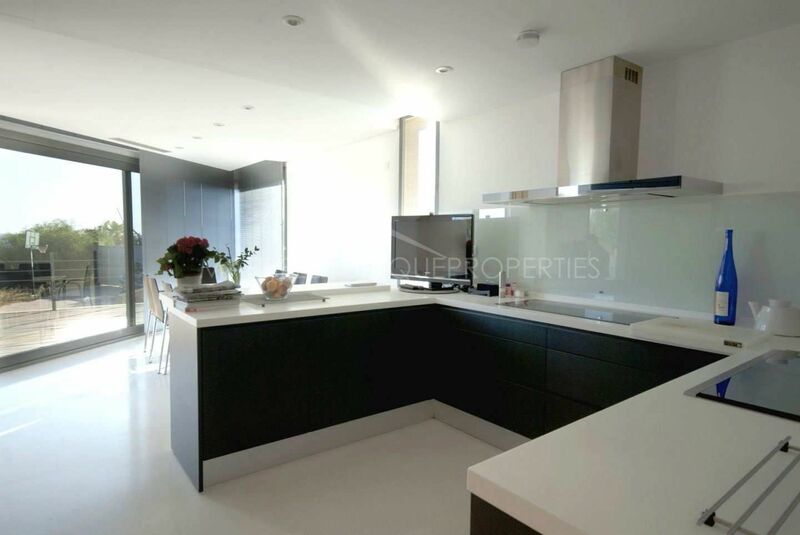 Extras: lift/elevator, high ceilings and windows, laundry room, garage with capacity for 4 cars, 2 staff bedrooms with a shower room and space for Tv room and/or gym with pre-installation for sauna. 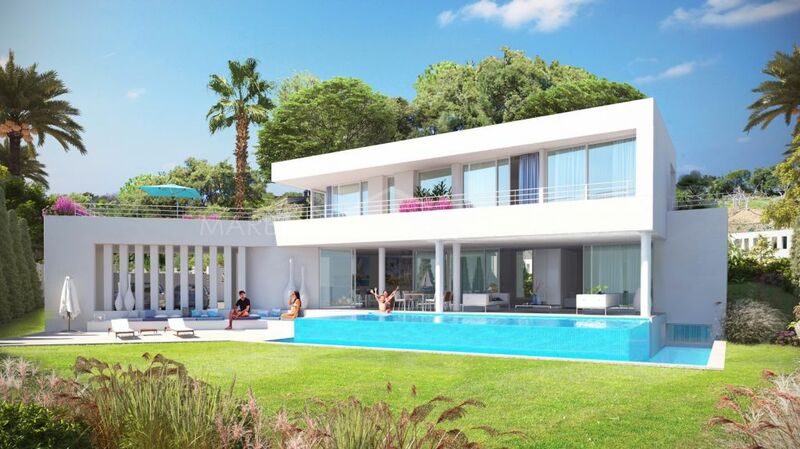 The garden level features very large terraces with pergola and a private L-shaped swimming pool. 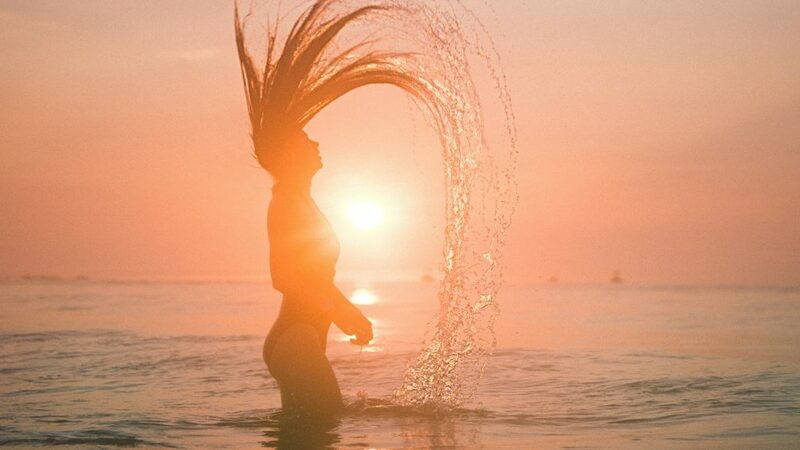 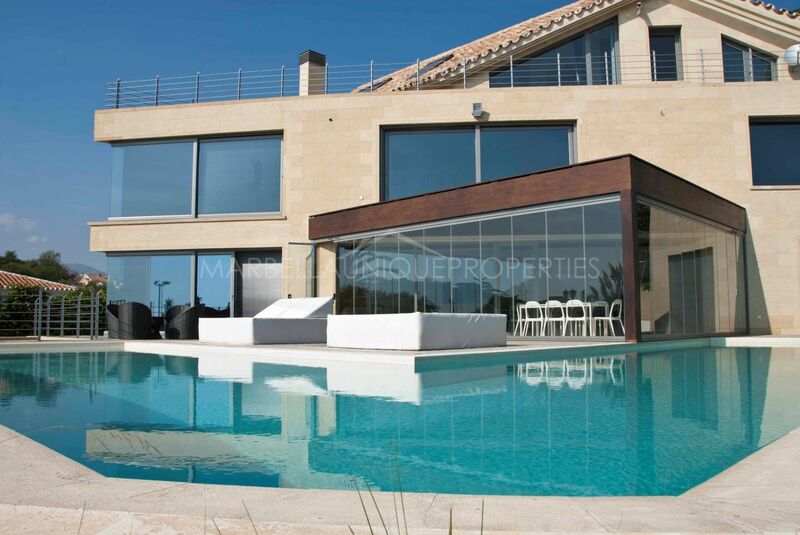 The property is also equipped with air-conditioning (hot and cold), under floor heating, double glazed windows, cream marble and wooden flooring, LED lightning system, pre-installation for heated pool, security system, a private lift connecting all floors and installation for solar pannels. 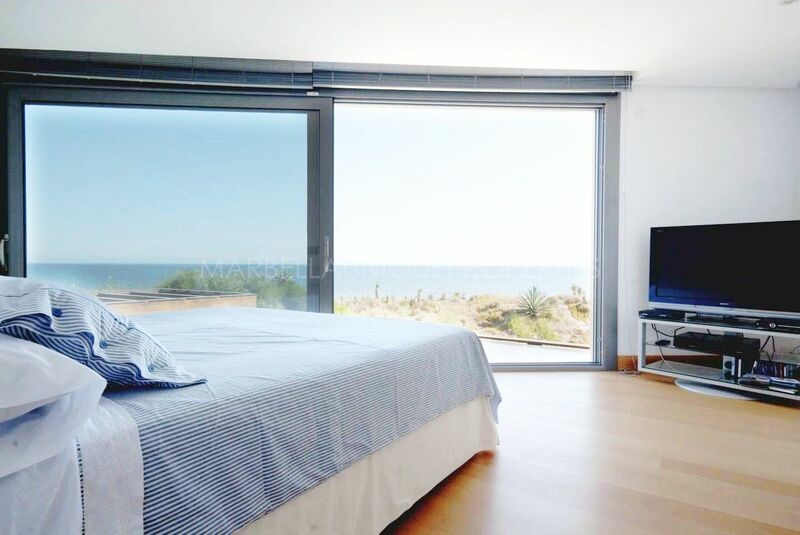 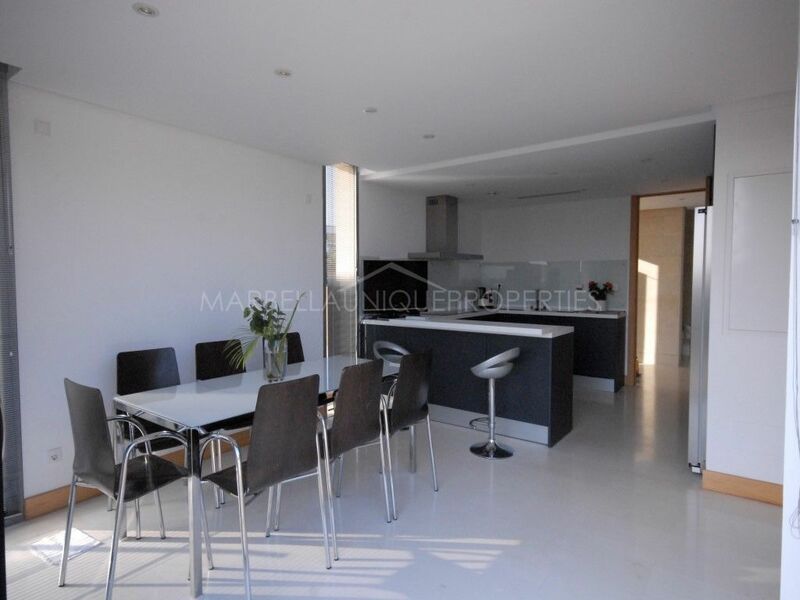 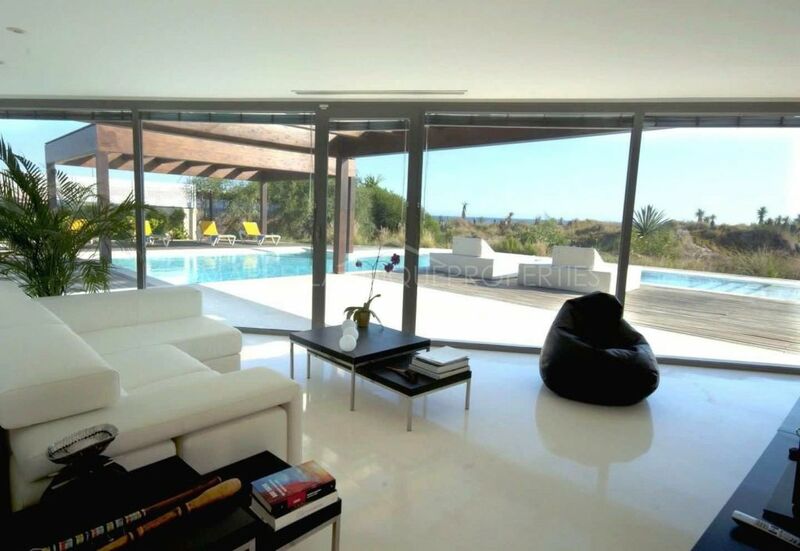 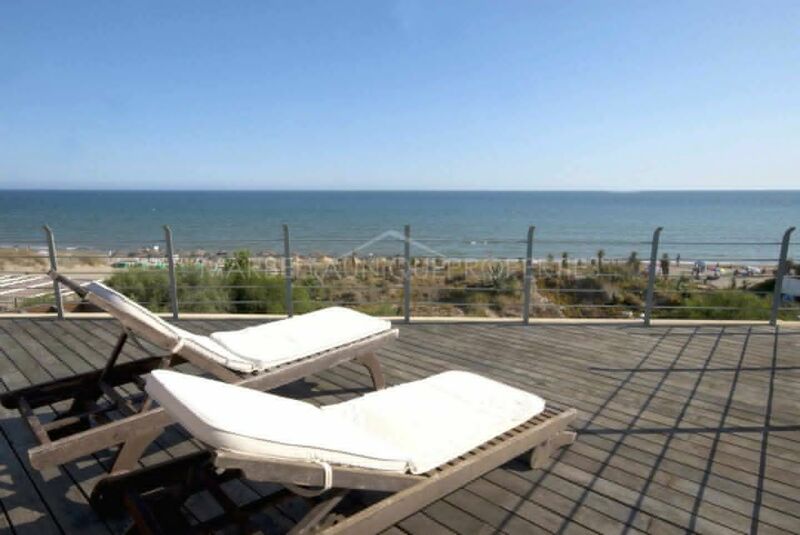 A contemporary home with direct access to one of Marbella’s best beaches. 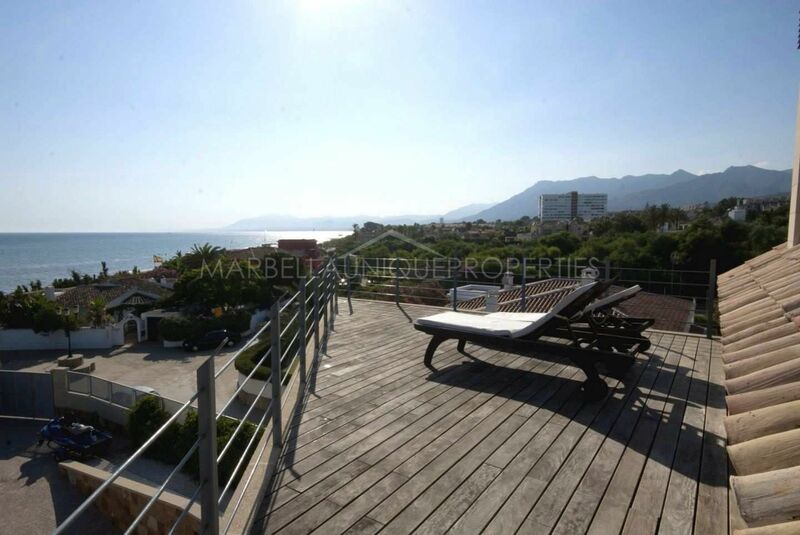 Please, send me more information about ref 239-00266P, Villa in Marbella East or similar properties.